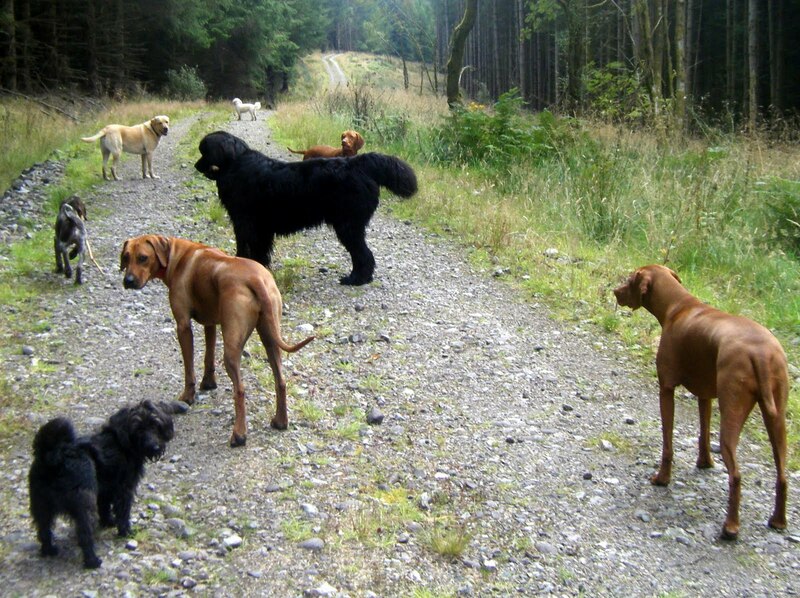 The Newfoundland in the centre of this photo is Monty, but I call him The Bouncer. He really doesn’t like it when there isn’t absolute peace and calm, with all the dogs just enjoying the walk. If Ivy & Holly start a carry-on with each other (fairly regular occurrence! ), he runs at them both and stands in between them until they have calmed down. It’s like he is saying “Now, come on, that’s enough of that carry-on. Let’s just enjoy the walk” He is big enough that even Ivy listens!